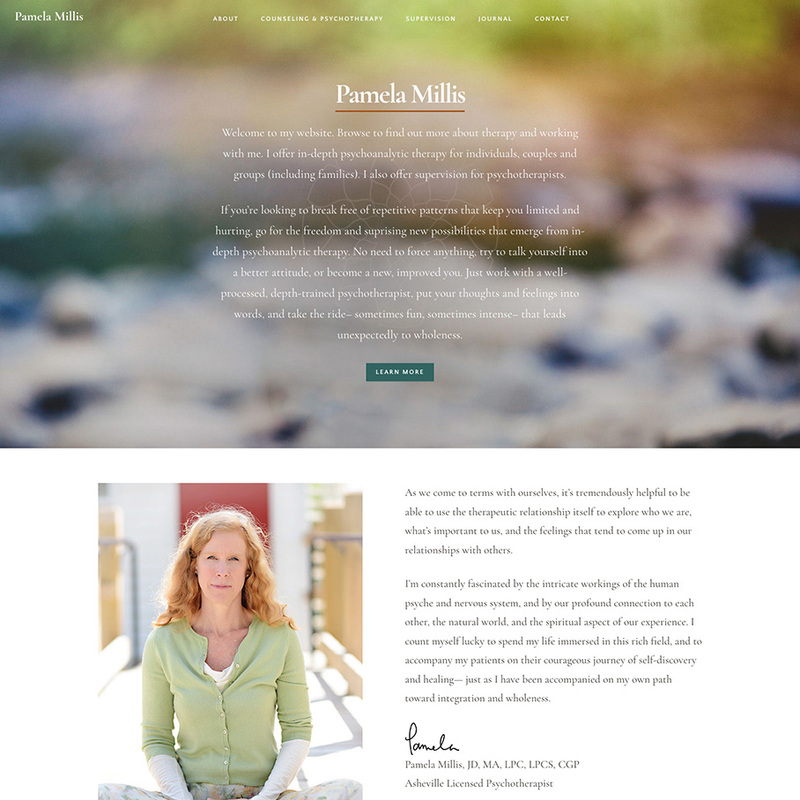 This local psychotherapist needed a gentle and inviting web presence to showcase her expertise. She was also in need of a rebrand since her previous office had been a collective and she was returning to solo practice. I branded the site using inviting colors and soft nature photography that underscores her calm energy and professional experience. Lydia is a pleasure to work with! I really appreciate how organized and professional she is; she gave me a realistic budget and timeline to begin with, and the website creation process stayed on track from the initial ideas phase to the site going live. I also value her down-to-earth communication style and the thoughtful care she gives to both visual and functionality elements involved in building an effective website. I recommend her without reservation. Thank you, Lydia!